Do You Need to Pay Nanny Tax? If you are like most middle-class families in New Jersey and Pennsylvania, you are busy trying to find affordable methods of day care that work well for your children. In the hopes of making sure that children are well cared for, many families consider hiring part-time, full-time, or live-in nannies. What many parents don’t know, however, is that hiring household help can mean that you are responsible for paying and withholding nanny tax. Whether you employed a nanny or other domestic help for 2014 or need to get more information about what will change about your taxes if you hire a nanny now, read on! 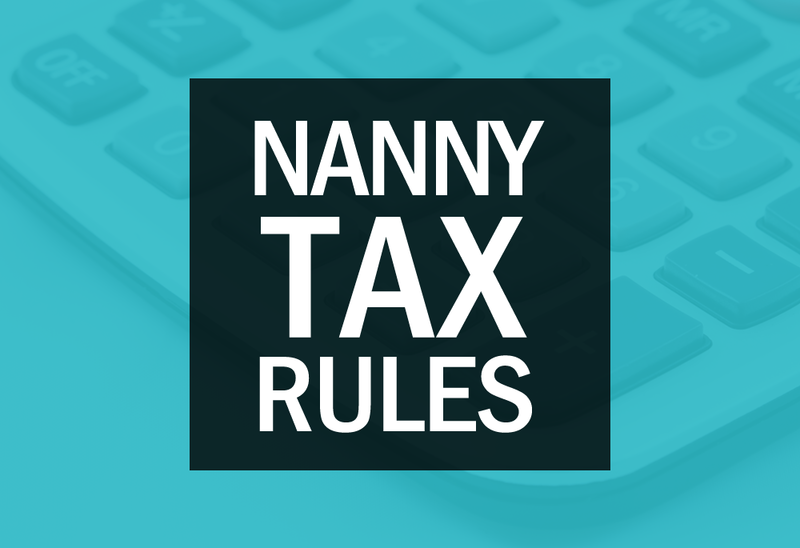 Nanny tax is a tax that employers are responsible for taking out of the employees’ wages and submitting it to the appropriate federal and state entities. These taxes include payroll tax, Medicare tax, and social security tax. Which Employees Qualify for Nanny Tax in New Jersey and Pennsylvania? So maybe now you can breathe a sigh of relief about nanny tax if your employee falls into one of the categories above. If not, we can help you get through the ringer of this tax issue. When you’re starting from square one, it’s important to get off on the right foot. You can save yourself a headache by making sure that you don’t accidentally classify a domestic worker as a contracted employee. A domestic worker should not fill out a 1099 form and should instead fill out a W-2 form. Providing the wrong tax form for an employee constitutes tax evasion, so don’t fall prey to that. Before officially employing a domestic worker, you must also ensure that he or she can legally work in the United States. As an employer, you must have the employee fill out an I-9 form. Once that is complete, you must keep it on file. Now, though withholding only the Medicare and social security taxes is necessary, we suggest also withholding payroll tax so the domestic employee will not have to pay additional taxes come tax season. Keeping track of the tax your domestic employee needs to pay means that you also need to keep track of and pay overtime. Nannies and other domestic workers are not exempt from overtime pay and should be paid 1.5 times the normal rate for any hours that exceed 40 in a seven-day period. Live-in nannies are an exception to this in most states, as they only need to receive their regular hourly pay for their work. Note that domestic employees should never have fixed salaries since that is illegal under the Fair Labor Standards Act. Before you start running around frantically worrying that you have more payroll tax to pay than you can bear, know that there are numerous tax breaks that actually can help you come out ahead when you employ domestic employees in New Jersey or Pennsylvania. First, there’s the Dependent Care Account, which is also called the Flexible Spending Account. This is a program that you can enroll in through your employer that gives qualifying families the ability to pay for approved expenses up to $5,000 using pretax dollars. If your family qualifies, you can save around $2,000 on expenses related to employing domestic help. Second, there’s the Child or Dependent Tax Credit. On your taxes, you can receive a 20% tax credit for your dependents’ care expenses up to $3,000 per child for up to two children, resulting in a savings of $600-$1,200 depending on the size of your family. If you want to be certain that you are following all the requirements for paying nanny tax or other payroll tax, make sure to consult the payroll tax experts at Abacus Payroll. Call our office today at (856) 667-6225.